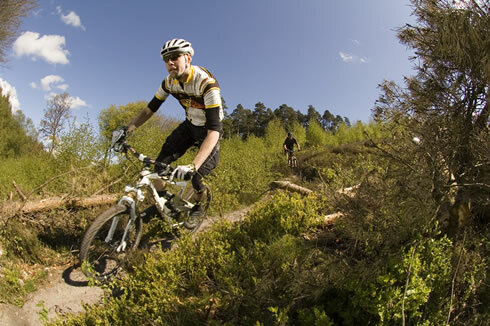 The Surrey Hills are home to some of the finest forest MTB trails in the South-East of the England. Much of the very best singletrack can be found on Holmbury Hill. Come along for a quick guided ride down some of these classic trails; all cleverly joined up by your experienced local mountain bike guide. Is this guided ride right for me? If this sounds a little beyond your current skill and fitness level, please consider participating in one of our Singletrack Fundamentals courses first.